It looks like San Francisco’s famous cable car bell ringing contest isn’t happening this year, due to a boycott by workers claiming a cut in the services offered by California Cable Car. Christie Smith reports. 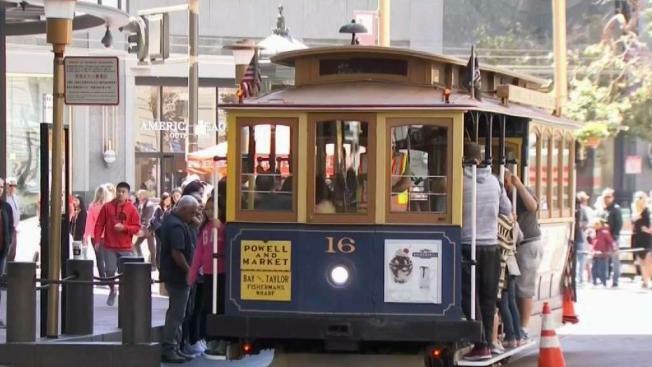 It looks like San Francisco’s famous cable car bell ringing contest isn’t happening this year, due to a boycott by workers after a cut in the services offered by California Cable Car. Every late summer, the bell ringing contest lets operators show off their skills, but according to the union representing some operators who have decided not to participate, it might not happen this year. "We will not be hosting the bell ringing contest this year," said Paul Rose, from SFMTA. SFMTA says they recently stopped running service on the California line from midnight to 1:30 a.m. because there weren’t enough rides and it serves more commuters, something the cable car operators did not like. "The cable car operators decided not to participate to let the city and county of San Francisco know that cable car service is being is being reduced," said Roger Marenco, president of the Transport Workers Union. "It’s definitely less pay when there is a reduction in service but our main goal, function and principal is providing service," said Marenco. The union says operators were able to gather signatures from those who ride it and that the contest would be coming up soon, but for now it looks like riders will just have to keep riding to hear the bells. "I’ve often seen the souvenir shops the cable car magnets, I’ve bought a few for my friends I thought why not take a ride finally," said tourist Debbie Mitra. For San Francisco residents, not having the bell ringing contest doesn’t seem right and neither do the reasons why. "I find it kind of disappointing but that the same time what does that have to do with cutting service?" said San Francisco resident Rufina Page. For now, Rose said they will try to incorporate the contest with their September Muni Heritage event and the only way things might change is if the late night service is back on.